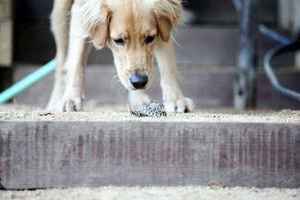 "Natural Solutions Wildlife Enterprises - Rattlesnake Aversion Training"
The Nation's Leader in Professional Rattlesnake Aversion! You and your dog could encounter rattlesnakes almost anywhere: your yard, local park, hiking trail, ranch, etc. Help protect your dog from a painful, costly and often deadly encounter with a rattlesnake! (7 species/subspecies are found in Southern California and 9 throughout California.) 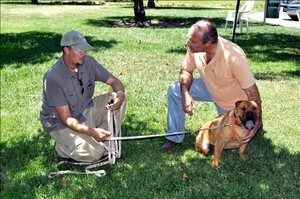 The staff of Natural Solutions are experienced dog trainers, animal behaviorists and naturalists. By introducing your dog to both juvenile and adult LIVE, SAFELY-MUZZLED rattlesnakes of the species found in your area, our trainers will use a remote training collar to provide a perfectly-timed low-level stimulation that your dog will associate with the rattlesnake. This will effectively enable your dog to detect the sights, sounds and smells of rattlesnakes and create the reflex for your dog to quickly move away and avoid them. Both your dog’s physical safety and also mental well-being are TOP priority; the trainers always start with the lowest stimulation level and will tailor each dog’s training session to meet their individual psychological needs. The snakes are all safely and humanely muzzled and equal consideration is put into their well-being also. Any breed or size dog will benefit from this training. With our process, we have successfully trained dogs as large as Mastiffs and Great Danes, to as small as Teacup Maltese and Chihuahuas. We generally recommend dogs be at least 6 months old prior to training so that they are developmentally mature enough to make the correct associations. That being said, different breeds and even individuals mature at different rates so we will evaluate young dogs 5-8 months old on the day to make sure prior to training. As the long term memory of a dog can also vary between individuals, we recommend training once a year for three to four years in a row. This offers a reminder to the dog as to the potential consequences of getting too close to a rattlesnake and builds upon what they learn and retain exponentially each time. 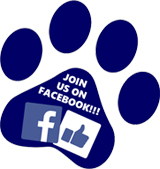 In the last 15 years we have trained and retrained over 65,000 dogs from Washington State to Florida! While nothing is 100% guaranteed, rattlesnake avoidance training has proven highly effective in preventing envenomation by rattlesnakes. An added bonus is that paying attention to your dog's behavior can help you avoid the snake as well! In fall of 2009, the Southern California Rattlesnake Aversion Community lost a pioneer, Patrick Callaghan of Gameland Kennels. We continue to offer our prayers and well wishes to his family and friends. Patrick brought awareness of Rattlesnake Aversion Training to California, saving many dogs lives and paving the road for others. We are honored to be the company his staff chooses for their Rattlesnake Aversion needs! "...the dogs alerted us to each snake without approaching it..."
"...certain her reaction due to the training saved her life..."
"...avoided a potentially dangerous encounter..."
"...minimizes any discomfort while maximizing the results..."
"...sensitive to the individual canine temperaments..."
"...helpful, friendly and full of knowledge..."
FOR MORE DATES, SELECT ONE OF OUR FULL SCHEDULE VIEWS BELOW!!! as they are posted and check back regularly as more dates as dates are added!! !